Packed with photos of his work with special effects man Paul Blaisdell and current color photos of the most amazing movie special effects collection in the world. Known to give up precious living space to display a full-size creature from the Black Lagoon or a pair of Frankenstein's clod-hoppers, Bob Burns is the patron saint of special effects for B movies. His storied basement houses the largest private collection of props, models, sketches, storyboards, and other bits of nostalgic debris from a century's worth of films. 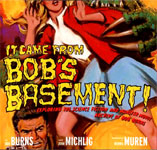 It Came from Bob's Basement is a colorful journey through the vivid and campy world of fantastic cinema and a true tribute to a man who has dedicated his life to the preservation of incredible movie artifacts from the original King Kong's metallic skeleton to the life-size Alien Queen. 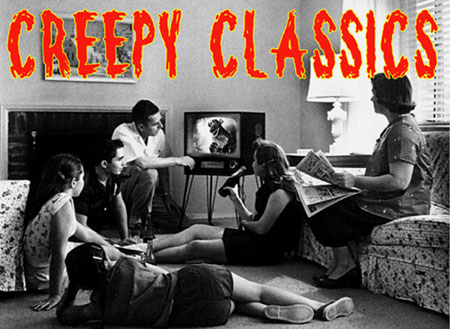 Including insider stories from the sets of favorites like The She Creature, It Conquered the World, and Plan Nine from Outer Space, Bob Burns brings fellow fantasy buffs up close with props and artwork from the greatest (and most outrageous) sci-fi films of all time. A story told with genuinely irresistible enthusiasm, Bob's Basement honors the beloved cult classics that have shaped movie history. Large softcover, first edition.